Letters being sent to Washington D.C. residents have confused some and annoyed others this week. The district’s health department is making changes to their pet licensing system and while some changes seem logical - requiring proof that rabies and distemper vaccinations are up-to-date, and combining dog licenses and dog park access tags, for instance– others require distinctly more imagination to understand. Apparently, according to the letter, there will be no more mutts in Washington D.C.
As the letter explains, any D.C. dog previously claimed to be “mixed” will now be labeled “Xoloitzcuintli” – otherwise known as the Mexican hairless dog – until the dog’s owner contacts the department and names a breed they believe to be closer to their dog’s origins. Now, people are rightly wondering how this change could possibly help their mixed breed dogs be found. 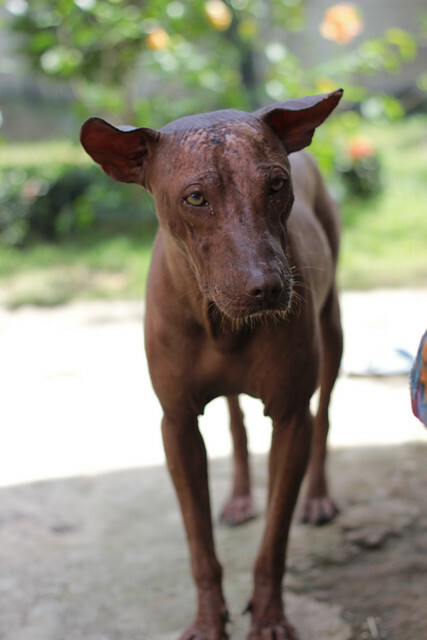 In fact, many people feel listing their dog as a Mexican Hairless rather than a mixed breed will hurt, rather than help efforts to find them should they be lost. When asked for comment, health department spokesman Najma Roberts was evasive saying only that is was “very important owners take a guess at the dog’s breed…” and Mike DeBonis, the Washington Post writer who first published the story, took no attempt to discern why automatically claiming a non-Xoloitzcuintli as such should have anything to do with their desire to have a breed claimed for each dog. To me however, it seems like someone at the health department found some ingenious way to push dog owners into action. Xoloitzcuintli are the type of exotic-looking animal it takes a certain kind of person to love. To illustrate, in response to someone’s question on why these dogs even exist, someone suggested “maybe wolfs used them as bait to get bigger pray or distracted ones.” in the comments of Mr. DeBonis’ article. Writing this article, a coworker passing by commented “That’s the homeliest looking cat I’ve ever seen!” (“It’s a dog.” I told him. He grimaced.) In fact, Xoloitzcuintli, while rare, are a popular breed among ugly dog contests. So. I’m the health department. I have this problem with identifying lost dogs and I want to keep track of how many “dangerous breeds” are roaming my community. How do I motivate owners to take the time to go fill out and file a form claiming their mixed breed dog as just one particular breed? Find a clever way to call label dogs of unclaimed breeds ugly, without actually using that word. What do you think of this, pet owners? Do the means justify the end? Washington Post: Don’t Know Your Dog’s Breed? 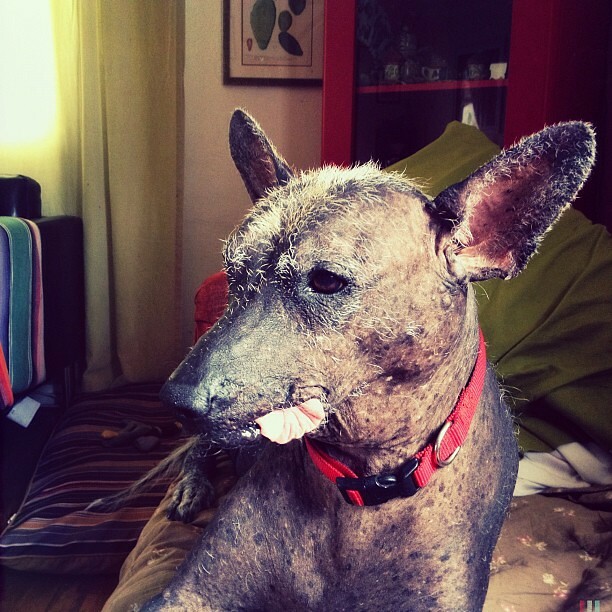 In D.C., it’s a Xoloitzcuintli. these dogs (the first picture) for sure, are a little hard on the eyes, but I'm sure they are still a good pet to have - their faces have quite a personality. However a lot of dogs are mixed breed and just because of that I don't think they need a new "name". How do you pronounce this Xoloitzcuintli anyway? I'm not saying they aren't good pets. I have a balding Cornish Rex who's tongue is almost constantly sticking out of the side of his mouth. He's a total sweetheart that loves everyone, but I can recognize that he's pretty ugly as far as cats go and wouldn't be everybody's taste. What's at issue here is that they want to force people to claim a breed for their dog. I'm simply guessing at why they picked this particular breed to be the breed the dogs previously listed as "mixed" would be defaulted to. It certainly seems like a less extreme-looking breed would have been a better, more logical choice! Why else would they have selected the Xoloitzcuintli ( show-low-eats-QUEENT-lee) to be the default?